Executive summary: When it comes to forced labor, very few people remember the Constitution and Labor Code of Turkmenistan, both of which deny forced labor. While the laws are not bad on paper, in practice, in today’s Turkmenistan the law is not protecting the rights of the citizens. Low level of awareness among the citizens of the provisions of existing labor laws and the mechanisms of defending their labor rights adds on to the abuse of laws on labor from the side of the Turkmen government. Article 8 of the Labor Code prohibits forced or compulsory labor as «all job (services) required from any person under the threat of any penalty and for which the person has not volunteered himself for the job.» Article 32 of the Turkmenistan Constitution protects workers’ rights to vacation, and Article 105 of the Labor Code prevents «Interrupted Vacation.” Yet the government of Turkmenistan subjects public-sector workers to forced labor during vacation and at the discretion of each public-sector organizations’ administration. 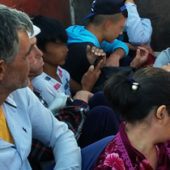 The government of Turkmenistan violates the rights and freedom of citizens and national law prohibiting forced labor according to a regular annual schedule. Government-orchestrated forced labor reaches its apex during the cotton harvest, before and during the national holidays, right before and during President Gurbanguly Berdymuhamedov’s visits throughout the country, and during international scientific conventions and conferences. Photo comment: “Dear residents! The time to harvest cotton in 2014 has come. In order to collect the cotton in time and not lose any, we call on you to participate in the cotton harvest! Administration of the farmers’ association” – This announcement was placed on the building of an agricultural machinery repair shop in Babadayhan village of Tejen region in Akhal oblast. 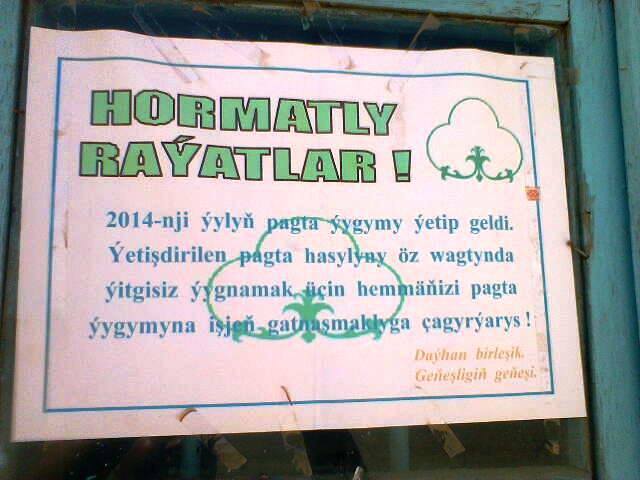 Similar announcements were placed on other administrative buildings throughout Tejen region. The government of Turkmenistan forced public- and private-sector workers to harvest cotton in 2014. A strict chain of command ensured the fulfillment of the national production plan. President Berdymuhamedov convened regional authorities to oversee the effort on the eve of Independence Day and weekly throughout the cotton harvest. In the last few weeks, the President raised particular concern about the slow pace of cotton harvest with governors of the four cotton growing regions. Their response was evident, as each governor issued new, strict orders to all subordinates in their respective regions, all the way down to the most junior employees. In turn, officials mobilized more people, closed markets, and restricted public transportation, in an effort to direct energy to the cotton harvest and with the result of disrupting residents’ daily life. Even after the regional governors reported successful completion of their annual production plan, they sent more people to pick cotton. All government agencies are involved in cotton harvest. Regional and local officials, however, use some discretion in how they mobilize people to the cotton fields, with variances from region to region and department to department. For example, in Lebap region, education administrators send teachers to the fields at least twice a week and also on Sundays. 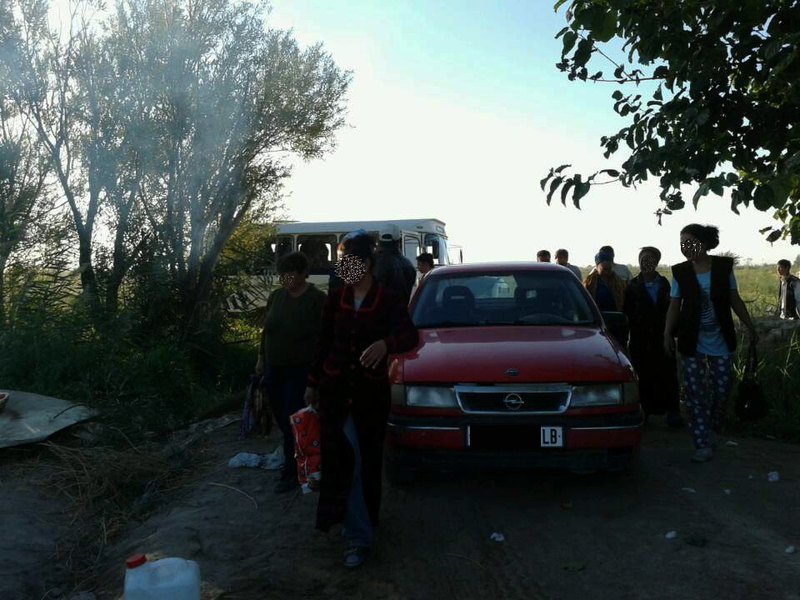 In Dashoguz region, some school administrators send teachers to pick cotton several days a week, and other administrators send the teachers to the fields only on Sundays. The school administrators’ decision depends on the orders from the mayor’s office and how strictly they are enforced. Some mayors threaten the Head of the Department of Education of their district with dismissal from their job or harsh reprimands if they do not send sufficient teachers or the teachers do not pick enough cotton during the harvest. In these cases, the Education Department Head fears losing his job, so he will send the teachers of this region often and for long periods of time to work in the cotton fields. It also depends on the nature of the principal of particular school. Most school principals are obedient and complacent doers of the wills of their superiors, but there are few school principals in each region who may stand up to their superiors and clearly state to them that the teachers’ main job is to educate the children, not to pick cotton. The schedule is approved by the head of the organization. The Human Resources Departments (HR) follow the orders of the organization head; therefore, it does not consider the employees’ health or family responsibilities. Yet some HR employees can pull certain strings by themselves. For example, some employees have «negotiated» with HR to go with the first group of people to pick cotton, early in the season before the cold and rain that comes at the end of October and in November. As we reported earlier during the 2014 cotton harvest, most employees of the municipal services of the country such as post offices, and technical staff of various agencies go on long term trips to the field. In other agencies, employees are sent to the fields in remote areas for two weeks and up to a month. Then the schedule rotates and their co-workers go to the field. Some public-sector workers have the option of paying for another person to pick cotton in their place. 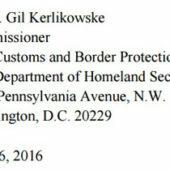 When sending a paid recruit, the civil servants are required to return to their actual job. HR and supervisors closely watch this. A few years ago, the employees of government agencies could stay home after sending the substitute. In the past couple of years, the rules have gotten tougher. Before sending buses of people to the field, they do head counts several times and compare the numbers and identities of people to the list prepared earlier. They also conduct unannounced checks in the fields. If they find out that an employee did not go to the field or pay for a replacement and go to work, the employee will be reprimanded, vilified before his colleagues, sanctioned financially or terminated from his job. There are some government agencies in Turkmenistan whose employees do not go to cotton harvest at all and instead the employees pay the organizations’ trade union 15-30 manats ($5-10) per day «for cotton». Collection of the funds “to support the cotton harvest” is widely practiced in the oil-and-gas, banking and healthcare sectors. They tell the employees directly: if you do not wish to pick cotton yourself, then pay money to support cotton harvesters to achieve the plan. For example, the regional association “Dashoguz Gas Supply” collects money from its employees. The employees do not how the money is used, they are only relieved that they are not bothered about the cotton harvest anymore. The government of Turkmenistan also requires private businesses to contribute to the cotton harvest. The degree of pressure on the private sector depends on how the region is progressing towards its portion of the state production plan. According to ATN sources in the state-owned «Turkmen Pagta» («Turkmen cotton») Concern, the progress towards the national production target is not going well this year. In contrast to previous harvests, the official progress reports are not being published in open media, and President Berdymuhamedov has indicated that the harvest is behind schedule and yielding less than expected. At the beginning of a harvest season, the president declared that perfect implementation of the plan would be done by Independence Day. While the national plan was apparently reached, at the last government session before the Independence Day he limited his speech by saying «It is necessary to harvest a crop without remains or losses». Each year, the lower the crop, the harder it is to implement the plan. To meet their quotas, government officials turn to recruiting people outside of the norm and demanding greater harvest quotas from each employee. 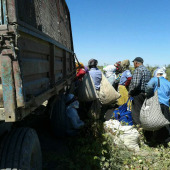 For example, on September 15, 2014, President Berdymuhamedov expressed dissatisfaction with the slow pace of the cotton harvest in some regions of Ahal province, and on September 21, the local authorities decided to limit the operating time for all markets, including the largest bazaar in the second largest town in the region — Tejen. Traders who came to the market in the morning stumbled upon a closed gate and a police patrol on duty at the entrance. The police explained to people that by decision of the local administration, during the cotton harvest the bazaar will run from 3:00 p.m.
«Now everybody should be in the fields,» they said. In addition to limiting the working hours of the bazaars, all the grocery stores were closed in the city during the day. However, according to ATN reporters, by mid-October stores resumed normal hours of operations. There is evidence that this year, like last year, market traders and small businessmen who rent retail spaces under shops, cafes, beauty salons, shoe repairs and clock repair shops were forced to go to harvest cotton. 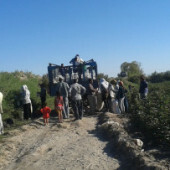 In Turkmenabat, employees of the local municipal administration visited the businesses and required the private entrepreneurs to go pick cotton. 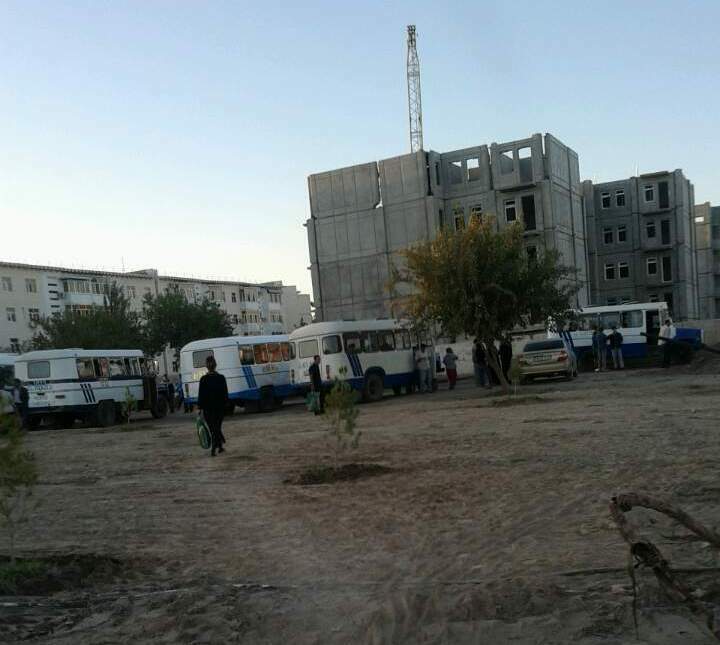 The local officials instructed the businessmen to gather at the bazaar in the first micro district of the city five times a month, and a bus arrived and transported them to the fields. City officials recorded the names of the businessmen in a notebook and required them to sign a consent form. At the request of the authorities, traders and businessmen have to turn in the proof of harvested cotton. The proof is provided to them by the tenant farmers who lease the land from the state to grow cotton. We discussed land ownership in Turkmenistan in the last year’s forced labor reports. Our interviewer, a major entrepreneur, conceded and sent eight of his employees, the number of passenger seats in the company’s mini bus. According to the entrepreneur, theoretically, due to the large number of staff he is required to send at least 15 people. However, they split the difference, since the entrepreneur «always takes an active part in the beautification of the city.» The local authorities demand and have received from him supplies for playgrounds, new curbs, streetlights, sidewalks and asphalt for «his» territory. «Over the past three years we have been «kindly» asked four times to change the curbs, three times to change the lights and five times to lay asphalt on the same stretch of road around our company,» said the entrepreneur. In addition to sending fewer employees, the entrepreneur also negotiated that his employees go to the fields located in the suburbs not too far from the city. Every morning company’s mini bus driver transports them to the Jeyhun farms in Serdarabat region, and in the evening he picks them up to return home. In the city of Turkmenabat, the administrative center of Lebap province, authorities have not closed the bazaars and businesses. The exception was during President Bedymuhamedov’s visit to attend the Council of Elders, for which all the bazaars and private shops were closed from 17 to 23 October. The situation has varied in the rest of the region. 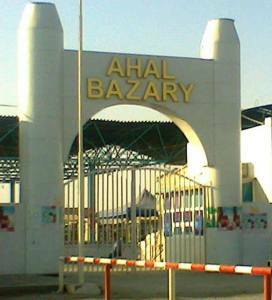 According to RFE/RL correspondent Osman Khallyev, they closed bazaars and businesses in the Galkynysh district of Lebap province. Pharmacies have been also closed in some residential areas of the region. The closures have led residents to open «night markets,” according to the correspondent, and these have a negative impact on the lives of the villagers. People return home late night from cotton fields, shop at the bazaar, and by the time they cook dinner its already late night. If merchants and businessmen do not go out to the cotton fields in remote rural areas anyway, the local population does not understand the point of closing the bazaars during normal daytime hours. In the town of Atamyrat (formerly Kerki) local bazaars close three times a week. Police officers do not even allow sales around the bazaars, so local merchants sell their goods directly from home. Throughout the harvest, Lebap and Tejen regional authorities have mobilized all hands on deck. In the first part of the report we mentioned that buses pick people up from designated stops to take them to the cotton fields. While part of these buses belong to the state public transportation agencies, most of them were the old «KAvZ-3270», «RAF-2203», «UAZ-2206», «PAZ-4234» models, and «Gazelle» vehicles owned by private individuals. Every morning the drivers arrived at the designated pick-up locations at 6:00 a.m, on orders from local administration. Drivers who tried to skip transporting people to cotton fields and carry on with their work were pulled over by state troopers and lost their licenses. The use of public buses to transport people to and from cotton fields left people without transportation. Drivers of private vehicles filled the void by using their own vehicles as a taxi. They dictated their terms to passengers and named their prices for travel, especially to the outskirts of the city, a difficult trip during the day. In turn, the owners of private buses required a fee for their services from the farmers, on average 50 to 100 manats ($17-35). The amount depends on the distance. The drivers complain that it is practically impossible to earn sufficient to cover the cost of gasoline, and in some cases it takes the whole day to transport cotton harvesters for tens of kilometers and bring them back in the evening. Farmer tenants often refuse to pay the drivers, because they do not order anyone to bring people and do not need the city helpers. According to our reporters, verbal arguments arise between drivers and farmer tenants who refuse to pay the transportation fee and sometimes it ends up in physical conflict. According to the drivers, when the gasoline in Turkmenistan was free (up to 200 liters per month), from 2008 until July 2012, city officials required them to use their vehicles for various purposes. Now every manat counts for the drivers, and the driver’s paying for trips to the cotton fields affects the well-being of their families. In turn, the cost of taxis has increased. In early September, the taxi drivers of Turkmenabat raised the price for services from 40 tenge (14 cents) to 50 tenge (17.5 cents). In the first half of September, when the temperature rises to 40 degrees Celsius and higher, there were several cases of heat stroke in the cotton fields. According to an emergency care technician of Yoloten region of Mary province, he had to go with the ambulance to the cotton fields five times, twice in one day. «That day the cause of both of the calls in different parts of the region was mild hyperthermia. 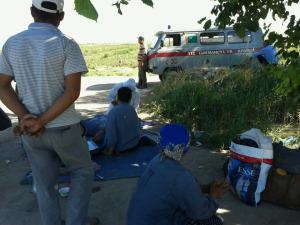 Both women fainted right in the cotton field, and we provided medical help to both of them on the spot,» he said. During other shifts, according to the health worker, his team received calls from the cotton for food poisoning and a dog bite, after which young man was taken to hospital and given stitches. 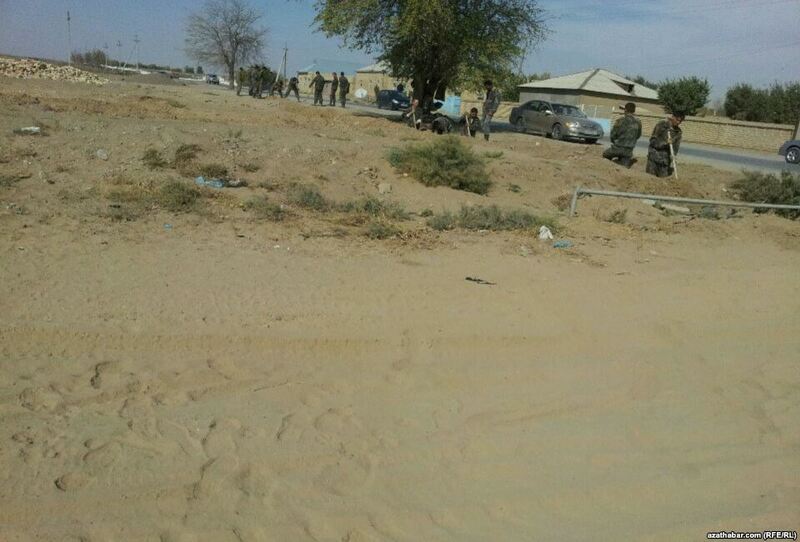 The most vicious incident occurred in a cotton field in Turkmenabat. The teacher of one of the city schools repeatedly took male students of 7-11 grades instead of teachers to pick cotton. In secluded fields, he sexually assaulted them. to the students’ parents quickly found out, and currently law enforcement authorities are investigating the teacher. Forced labor is rare in incarceration facilities in Turkmenistan. 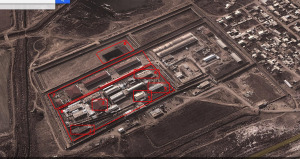 According to the former detainees, in 2008-2009 the warden and prison guards forced inmates to build two residential barracks at the industrial sight of MR-K/16 labor camp in Bayramaly. The prison officials sent the inmates to the construction site, where the inmates hauled bricks, mixed cement and poured foundation. Those who refused were placed in solitary confinement. They didn’t get receive compensation. An inmate remembers a fatal accident at the construction site: with an inmate in the bucket, the crane touched the power line and the man was killed instantly. For other types of work, the prisons pay the inmates. Paid work in prisons in Turkmenistan in recent years included manufacturing of mesh netting, paper, and plastic tubing. Currently, only paper is being manufactured by the prisoners. The paper plant is small, constructed by the inmates themselves, and employs 7-9 people. Payments are made by checks. Inmates receive these checks from the payroll department and can use them to purchase food and personal hygiene needs from colony’s store. The only disadvantage of this payment is that inmates have to spend the whole amount. For example, if an inmate has a check at the amount of 50 manats ($17.50), and he needs to get the goods for the amount of 20 manats, he doesn’t receive change of 30 manats (or a check for that amount) back. Inmates do not receive any cash nor are they allowed to cash the checks. Some prison inmates send their earnings to their families. 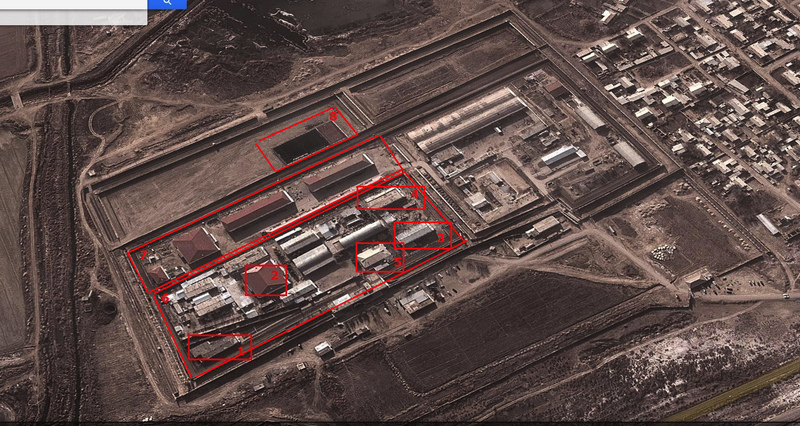 The prisons of the city of Seydi also do not use forced labor. On the contrary, many want to work, but employment is unavailable. Inmates work at a sewing factory, where they sew prison uniforms for inmates and prison guards, at the brick factory, and with the maintenance department, for which they clean the floors, maintain the bathrooms and food service in the cafeteria. The maintenance jobs are the highest paid — 250-300 manats ($87-$105) per month. The Seydi prisons also pay the prison workers with checks that can be exchanged for goods in the store. 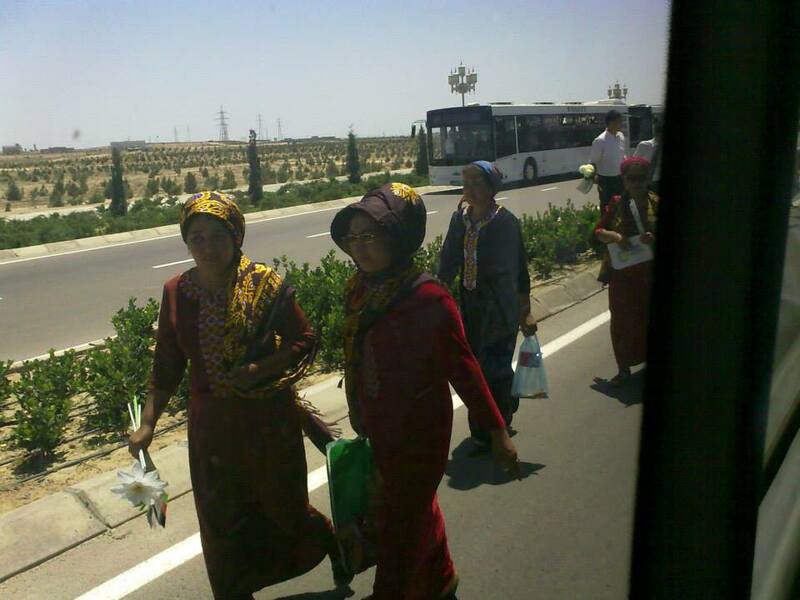 In the Armed Forces of Turkmenistan systematic forced labor is also not implemented. However, during the reign of Saparmurat Niyazov, from 1985 — 2006, it was a different picture. Conscripts were widely used as free labor. The government used military personnel to replace medical staff in hospitals, fire departments, highway patrol, as well as in the construction, oil and gas, and textile industries. Military were put to work as groundskeepers as well. The companies in which the soldiers were “serving” provided them meals and accommodations in exchange for the free labor. During the cotton harvests under the Niyazov administration, Turkmen military were among the first sent out to cotton fields. With the inauguration of President Berdymuhamedov and announcement of the new military doctrine, forced labor gradually faded away. Today some conscripts are involved in the cotton harvest, mainly in remote regions of Dashoguz, Mary and Lebap. As a rule, soldiers are sent to pick cotton on the fields that are close to their military base. Last year our informants observed soldiers in the fields in Hatap village of Lebap region. However, this year, at least through the beginning of October, no soldiers have been observed in Hatap or the Tagtabazar region of Mary province. 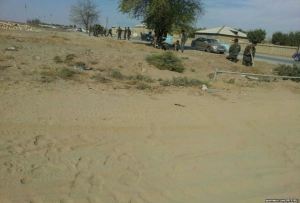 Instead, the soldiers have been seen pulling weeds and grass along roads. Upon of the president’s arrival to any region or on the eve of a national holiday, the residents of that region lose peace of mind and their lives are disrupted. This happened in 2014 when Berdymuhamedov personally attended the opening ceremonies of the markets, hotels, libraries, industrial facilities and residential homes in Balkan, Dashoguz, Mary, Lebap regions. Contractors and all of their employees had to work 15-17 hour days in order to clean the area for the arrival of the president for the grand opening. Local authorities of Mary and Dashoguz regions, together with the contractors, forcibly involved employees of local municipal services, highway departments, water departments, provincial associations «Maryenergo» and «Dashoguzenergo», gas departments, freight fleets, industrial companies, and departments of culture, health and sports to complete the construction project for the arrival of the president. 30-40 days prior to the president’s arrival to the opening ceremony, the project site to be used reminded people of a picture of a disturbed anthill — hundreds of people of different occupations worked around the clock, finishing the last minute details of the project, they laid asphalt, built curbs, washed the windows and doors, laid the carpets, did gardening, watered and landscaped the surrounding area. There is evidence that not only contractors and their affiliates were forced to put in unpaid overtime, but even the entity the project intended for sent in its own employees to work without pay. For example this happened in Balkan region, where on October 7, grand opening ceremony of the plant that specializes in packaging of therapeutic mud and sea salt in the village of Jebel and grand opening of medical supply manufacturer in Bereket were held among other events. 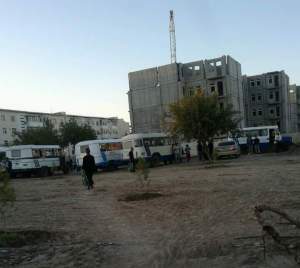 According to sources of ATN, by the order of State Health Department hundreds of doctors, nurses, CNA’s were sent from all over the Western part of Turkmenistan to prepare the project for grand opening. 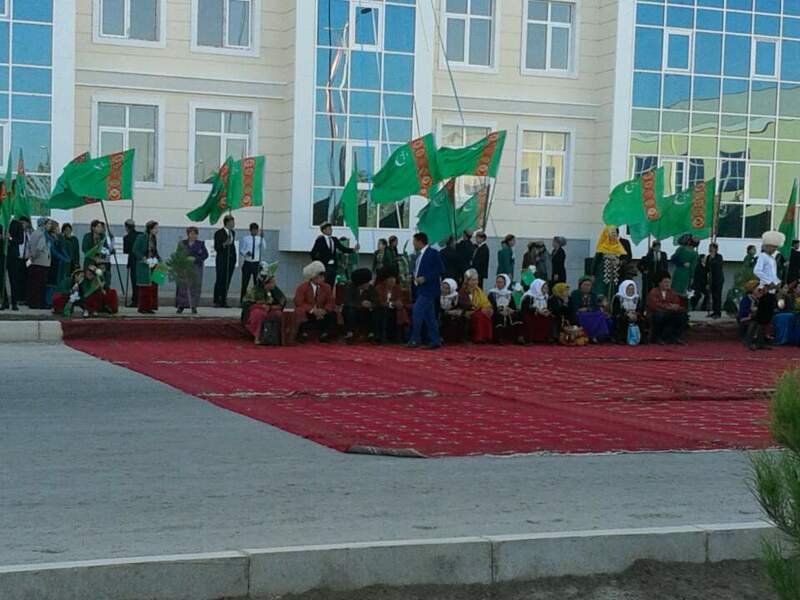 For the whole month, hundreds of librarians, workers of other cultural departments (mostly women) from all over Dashoguz province, worked for 12-14 hours a day, leaving their main jobs to prepare the project for grand opening which the president attended on September 22-23. 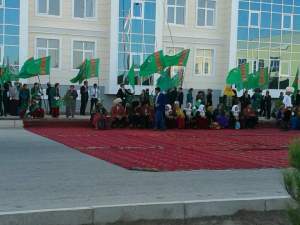 According to the sources in Turkmenistan, the same practice of forced labor in a particular industry to perform landscaping, gardening and cleaning jobs to prepare the project for grand opening is widely used in all provinces these grand openings ceremonies were held this fall. The arrival date of the president is unknown to certain region. However, the residents of these regions accurately determine the exact date of arrival of the President via indirect signs. One of them is cleaning of the highway from the local airport to the regional center or to the location of the event. Cleaning involves pulling weeds, clearing wild and old brush from previous year, collecting and burning the trash, planting new vegetation. Local authorities in each region force hundreds of people to perform these duties. All the sections of the highway from the airport to the President’s destination are divided into sections and each area is assigned to the organizations and agencies of the region. If the number of personnel is higher, then you get a longer stretch of the highway, and on the contrary. Each organization must perform all the assignments (purchase of new plants, replace old curbs, make extra stands, flagpoles, paint bridge railings, manufacture and install road banners with greetings to the President or a quotation from his speech) out of the profit of the company, if the company is in the negative financially, then the employees carry the balance of financial burden. The employee’s defiance to comply with the chief’s order will cause him to be branded and isolated from the other employees; this will then lead to false allegations of misconduct that will end with their termination. Performing any task could be not related to the arrival of the president. The reason for forcing people to perform unusual work can become an event of national importance. Thus, right before celebration of state holiday of Dashoguz Culture Week (23-29 June 2014) the road from the airport to the center of Dashoguz was divided into sections and distributed to large organizations such as local oil refinery factory, sewing factory, a regional association «Gallaonumleri» (Wheat products), oil and gas storage and others. By the order of provincial governor Esenmurat Orazgeldiyev, hundreds of people from different fields of expertise were taken from their jobs and put to work to clean up the highway and its roadside, to burn trash and dead wood, dig out camel briars and rushes. If the labor groups of industrial and construction companies are forced to perform costly works and activities, employees of state funded agencies are usually forced to perform compulsory work as unskilled workers or used in the events as extras. «If you do not fulfill the requirements of the administration, then you do not just get fired, the administration will also make your life miserable. They will not leave you alone, they will start nitpicking at your work, will be watching your every move, and if you make a simple mistake at some point, it will be used as grounds for termination. Neither the union, nor the prosecutor or the judge will defend you. Nobody wants any trouble, therefore we all like sheep in the flock, with bowed heads, quietly do what we are told,»- said an employee of one of the libraries in the capital during the interview with our reporter in Ashgabat. According to her, librarians and other workers of state funded agencies, along with university students and students of lyceums and schools, are the first ones who are required to participate in all community and political events and celebrations held in Ashgabat. «When we are told, we fill up conference rooms, where the international forums are held, we pretend to be well-dressed happy citizens of the Era of Might and Happiness; during the conduction of preliminary TV shooting of a public holiday, we can also be peripherals for few hours at a place where the president and his administration appear. At work, you can cheat, they do not do anything to you, but a refusal to participate in such events or the expression of dissatisfaction about the pressure and obligation, is perceived by superiors as a violation of labor discipline, a failure to perform your duty, as motivation to insubordination, lack of patriotism, «- said the librarian. Workers, in particular, employees of state funded agencies are deprived of the right to vacation. After all, most national holidays are held on the weekends. Rather than doing housework, spending time with family and children, people are forced to be where the event is held. «A drop of water is a grain of gold day», Turkmen Horse celebration, Carpet Day, «Galla Bayramy» (feast of grain), Melon day, «Hasyl Bayram» (harvest festival), the Neighborhood Day — all these holidays are celebrated on Sundays of different months. The country celebrates a total of 40 state, national, professional holidays and important dates a year. In addition to the holidays, countless number of socio-political, cultural and sports events are held in the country which require mandatory employee participation and are equal to other official events at the state level. These events may be Sunday horse races (school teachers’ attendance is mandatory), openings in theaters or in cinemas (also often fall on weekends). During summer months (usually in July), when teachers are still on summer break , in violation of Article 105 of the Labor Code («Interrupted Vacation»), they are forced to go to work for admissions to universities, cooking dinners for admissions committee. In addition, during their legal vacation, teachers are forced to participate in various kinds of competitions. By law, interruption of the vacation is only possible by the written consent of an employee, but none of the management asks for consent (either written or oral): if it is necessary, then it is necessary. In the last part to follow, we will discuss the land ownership in Turkmenistan, the relations between the state and farmers, where the Turkmen cotton is being exported and what companies/brands buy it.